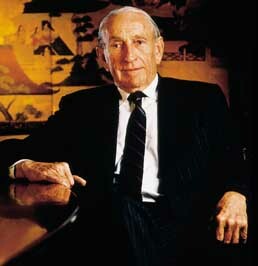 David Packard was a co-founder of Hewlett-Packard. Born in Pueblo, Colorado, he received his B.A. from Stanford University in 1934. Afterwards he worked for the General Electric Company in Schenectady, New York. In 1938 he returned from New York to Stanford, where he earned the degree of electrical engineer. That year, he also married Lucile Salter, with whom he would eventually have four children, David, Nancy, Susan, and Julie. In 1939 he and William Hewlett established their firm in Packard's garage with a capital of $538. 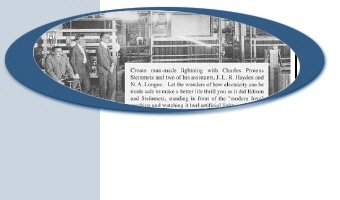 The company, where Packard proved to be an expert administrator and Hewlett provided many technical innovations, grew into the world's largest producer of electronic testing and measurement devices. It also became a major producer of calculators, computers, and laser and ink jet printers. Packard served as Hewlett-Packard's president from 1947 to 1964, chief executive officer from 1964 to 1968, and chairman of the board from 1964 to 1968 and from 1972 to 1993. Upon entering office in 1969, President Richard M. Nixon appointed Packard US Deputy Secretary of Defense. Packard served until 1971, when he resigned and returned to Hewlett-Packard the next year as chairman of the board. In the 1970s and 1980s Packard was a prominent advisor to the White House on defense procurement and management. From the early 1980s onward until his death, Packard dedicated much of his time and money to philanthropic projects. The two most well-known are the Monterey Bay Aquarium and the Lucile Salter Packard Children's Hospital a Standford University. His will gave most of his estate to the David and Lucile Packard Foundation. All three Packard daughters sit on the Foundation's board of trustees.